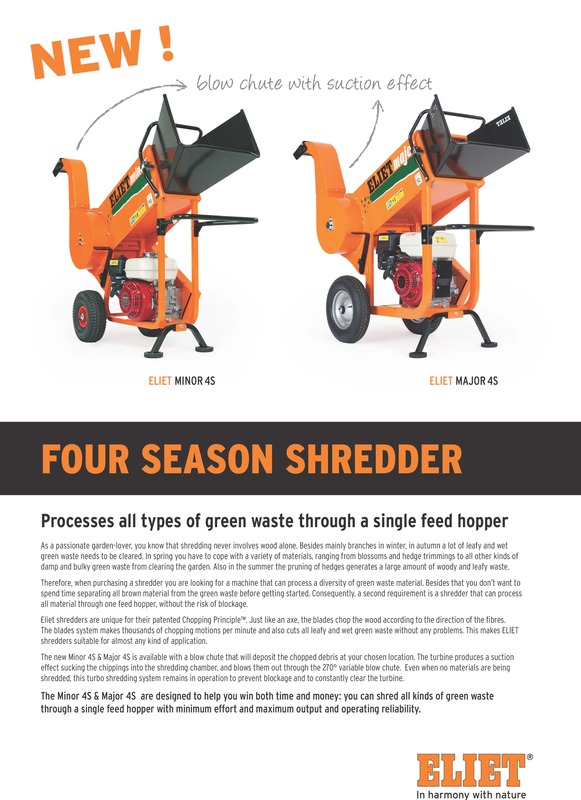 The ELIET MINOR 4S smoothly combines a wide hopper for various types of waste with compactness and ease of use. Above all, waste is processed in an extremely safe manner. This is because the machine has a dedicated safety screen, a steel safety shield and a heavy-duty debris flap. Chipping is a real joy when you use a good machine. At ELIET, we do everything to ensure that you will derive this pleasure as long as possible. When you take your first look at the ELIET MINOR, you will realize that this machine is designed to cope with rough handling. You do not have to have any concerns about the durability of the thick sheet steel frame. The black feed hopper guides the garden waste with wide branches into the chipper. Everything disappears behind the metal safety screen. Provided that the feed-in funnel does not become narrower, all branches continue to be fed in before being placed at the mercy of the blades. If you remove the sieve screen from the machine, you will be confronted by the blade shaft with its twelve razor-sharp blades. The rotor with two bearing blocks is mounted in the shredding chamber. You will immediately note from the construction of this cutting device that this chipper will have no trouble at all in dealing with a lot of thick branches being fed in. Large wheels are a true comfort, in particular, when the chipper needs to be driven over unpaved paths or uneven lawns. 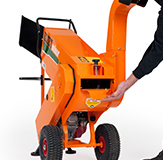 The machine virtually does not have to be lifted in the transportation position thanks to the excellent distribution of weight, which makes it extremely easy to drive the machine all the way down any garden. The blade shaft of the Minor has double bearings and is belt driven. This construction places the Minor in a class of its own in comparison with the smaller ELIET chippers. 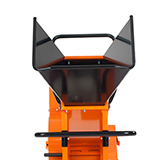 The separate rotor bearings enhance the durability of the chipper. Moreover, this construction is better equipped when it is subjected to heavy duty cycles. The transmission also absorbs the dynamic forces and increases the drive torque to be blade shaft.